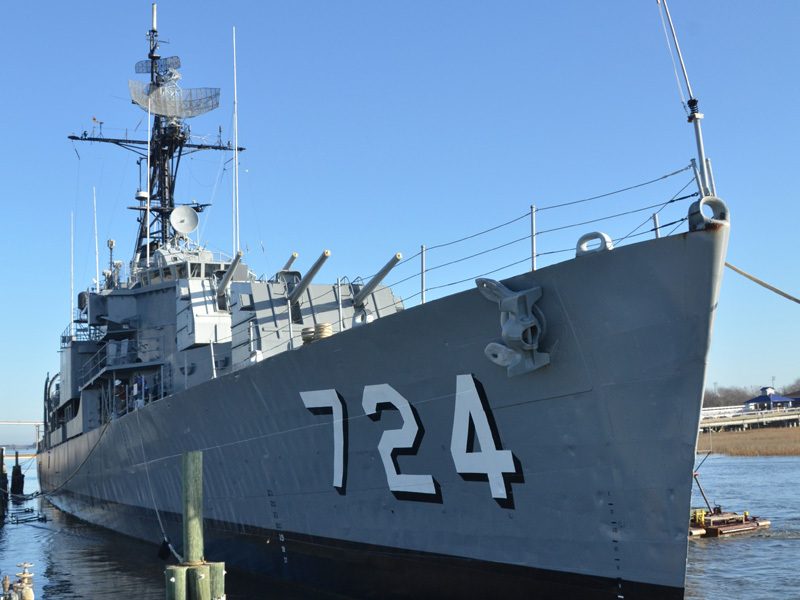 What makes the USS Santa Fe such a special ship? On March 19, 1945, a Japanese bomber dropped two 500-pound bombs through the deck of the USS Franklin, killing hundreds of officers and enlisted men, and thrusting the lives of nearly 3,000 other American seamen and aviators into mortal danger. As the Franklin listed dangerously near capsizing, the light cruiser USS Santa Fe, nicknamed the Lucky Lady, bellied up alongside her flaming hull and attempted the most daring rescue in U.S. naval history. 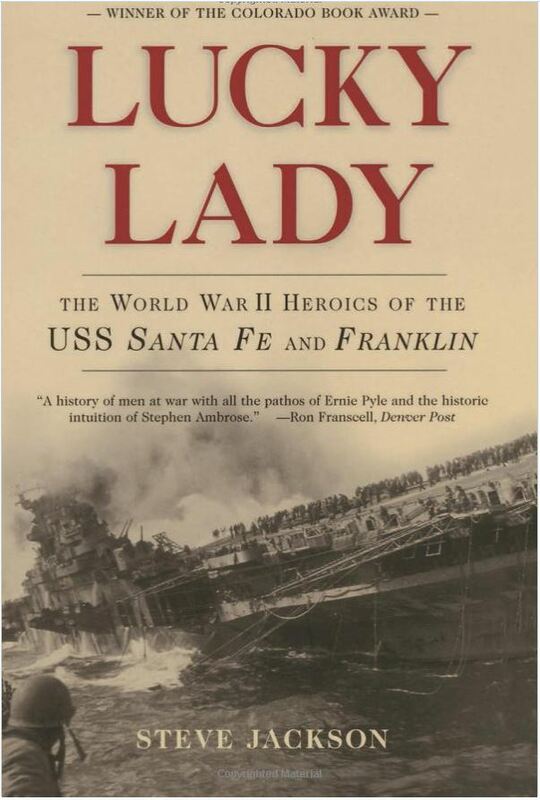 Lucky Lady tells the tale of the legendary World War II careers of the USS Franklin (the most decorated naval vessel of the war) and the Santa Fe (unparalleled record of wartime service while avoiding casualties) through the eyes of the men on board. This tale is told from the perspective of the highest levels of rank and flying altitude to deep within the ships engine room. Through the bloody years of the Pacific War (from Pearl Harbor to the surrender of Japan) the crew members of these ships experienced first-hand all the horrors of war. A friend of mine, whose father served on the USS Santa Fe, loaned me this book. And I must say, I greatly enjoyed the read. Sailors believed the Santa Fe to be an unlucky ship. Christened with a bottle of water rather than Champagne, such as is the usual case. The bottle of water came from the Santa Fe River … blessed by a Catholic priest. This, of course, caused a good deal of muttering among superstitious sailors. But as it turned out, the Santa Fe led a charmed life. This ship and crew’s heroic efforts to rescue the sailors of the USS Franklin is the stuff of legends. This is first and foremost a history, It goes into great character detail and development. You get to know the officers and the sailors assigned to this ship. From the Aleutians to Pearl Harbor and the war in the Pacific, this book tells their tale. It’s pages are full of WW II Naval action. However, if you are strictly an action junkie, it might be a bit of a slow read. On the other hand, if you love history, well-developed characters, and detailed, historic accuracy … this is a book for you. I highly recommend this book and give it a 4 out of 5 stars. Voices from the past … from World War III … telling tales for today’s children. It looks like John Purvis over at John’s Notes came up with another little gem on his blog! I certainly would have enjoyed something like this when I was in school. I like the fact that this work of non-fiction shares stories from soldiers and civilians from both sides … Allies and Axis. John gave it a 3.8 out of 5! I think this was mostly because, according to his review, some of the stories began to get repetitive toward the end. I bet a great many of the stories are very moving. The cover is vintage WWII recruitment poster-type artwork. I have a feeling I will be checking this book out … maybe on Audible. If you like military fiction, political thrillers,and romance, check out my book on Amazon and here on my website. The USS Laffey: The Ship That Would Not Die. USS Laffey: The Ship That Would Not Die. The story of the USS Laffey is one of uncommon bravery and perseverance in battle and a tribute to all members of the American military. Some years ago I visited Patriot Point in Charleston, South Carolina. While there I toured the Aircraft Carrier USS Yorktown, the Destroyer, USS Laffey, and the submarine, the USS Clamagore. There were also several aircraft, a Vietnam Experience exhibit and a Medal of Honor Museum at Patriot Point. I enjoyed the visit immensely. Of course, the Yorktown the Clagamore were both impressive and their history fascinating. But the USS Laffey and its story were both simply incredible. I bought a book in the gift shop on the way out. That book was The Ship That Would Not Die by F. Julian Becton, Rear Admiral, USN, Ret, with Joseph Morschauser III. This book contains 12 fascinating chapters. I could hardly put it down. I was going through and sorting old piles of books when I came across it and decided to read it again. I am glad I did. If you are interested, it is available on Amazon.com. Chapters 1 and 2 describe the sinking of the original destroyer named Laffey during the Naval Battle of Guadalcanal in November 1942 and Becton’s later assignment as commander of the new Laffey. Chapter 3 and 4 describe the new destroyer being built at Bath Iron Works in Maine, its commissioning, and the ship’s shakedown period in Bermuda. Chapters 5 and 6 describe the Laffey‘s combat assignment providing support for the Allied invasion of France in June 1944. As part of the Utah Beach section of the Western Naval Taskforce. The Laffey’s initial assignment was to protect and assist the amphibious assault ships on their trip across the channel. She then screened these and the heavy bombardment ships … backing them up when the invasion began. Chapters 7 to 10 detail the USS Laffey‘s service in many Pacific battles beginning with her arrival at Ulithi in early November 1944 and culminating with the beginnings of the Battle of Okinawa in early April 1945. 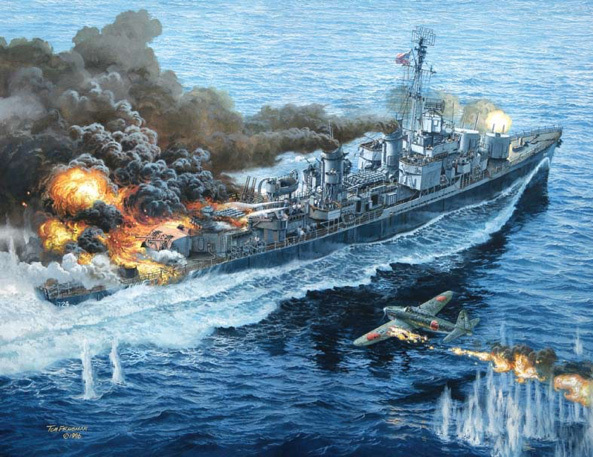 The destroyer had numerous experiences with kamikaze planes during this period. The crew witnessed suicide crashes into other ships, shot at incoming planes, and provided aid to other ships that had been hit by kamikaze aircraft. Chapters 11 and 12 are twenty of the most unbelievable pages of military heroism I think I have ever read. The destroyer Laffey (DD-724) fought for 80 minutes against 22 Japanese kamikaze planes and conventional bombers on April 16, 1945. Although the ship’s gunners downed nine incoming planes, seven suicide planes crashed into the ship. Two other planes dropped bombs that hit the ship. These attacks killed 32 and wounded 71, but the Laffey survived despite the fires, smashed and inoperable guns, and a jammed rudder. Amazingly, eight of Laffey’s guns were still able to fire. 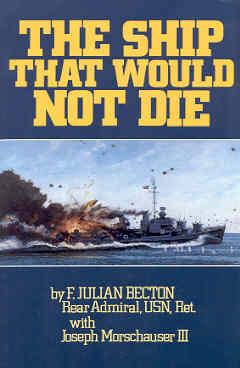 F. Julian Becton, the Laffey‘s commander during World War II, wrote this amazing history of this ship’s distinguished wartime service at Normandy, the Philippine Islands, and Okinawa. Joseph Morschauser III, a former writer for Look magazine, co-authored. This book’s 12 chapters tell the amazingly heroic tale of a U.S. Destroyer that was hit more times by kamikaze planes in a single day than any other ship in U.S. naval history. The President of the United States awarded a Presidential Unit Citation to the USS Laffey and its crew. 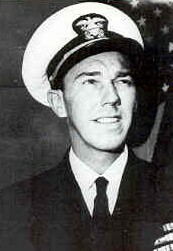 Eighteen members of her crew received Bronze Stars, six received Silver Stars, two received Navy Crosses, and one received the Navy Commendation Medal. This is a great post by GP Cox on his blog Pacific Paratrooper. It tells a true tale of a real American hero … a young woman. A true Filipina Heroine. It always amazes me how many unsung heroes America has. There are so many courageous men and women who fought for freedom and the unique ideals that made this country great. They include many origins, races, colors, religions, and creeds. This post by GP Cox tells the story of Magdalena Leones, a young Filipina woman who served as a guerrilla soldier under U.S. command during World War II. Magdalena was only in her twenties when she joined the Philippine-American war effort. She did on June 16th at the age of 96-years old in Richmond, California. 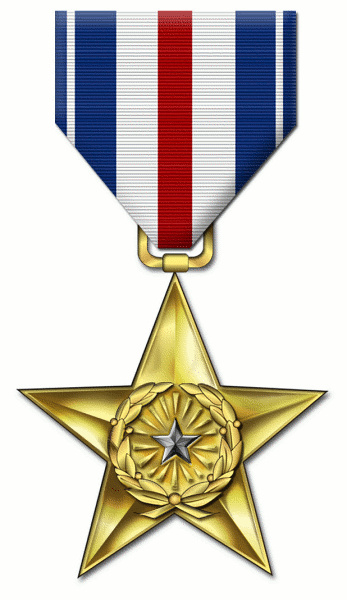 The Silver Star is the third-highest honor for gallantry in the U.S. Armed FoGPrces. Previous recipients include Audie Murphy, Chuck Yeager, and Norman Schwartzkopf. Magdalene Leones is a member of a small group of women to receive this award. Furthermore, she is the only Filipino woman to receive this award for heroism. Read the entire story on Pacific Paratrooper. It is a great post and should be an inspiration to us all. In addition, it is a story of the proud Filipinos, staunch allies to the U.S. during the war in the Pacific. I come from a family with a long military tradition of fighting for this country. That history goes all the way back to the American Revolution. Therefore, it is so sad to me that young people today do not understand the sacrifices so many made to guarantee them freedom. Especially since these are the same freedoms and liberties they see so determined to fritter away! I guess this is what happens when schools stop teaching history and instead teach left-wing propaganda. The Silver Star is the third-highest honor for gallantry in the U.S. Armed Forces. Previous recipients include Audie Murphy, Chuck Yeager, and Norman Schwartzkopf. But few people have heard of Magdalena Leones – she was a Filipino woman that served as a guerrilla soldier under U.S. command in World War II. Leones was in her 20s when she joined the Philippine-American military effort. She is part of a small group of women – and is the only Filipino woman – to receive the award for her heroism. She died on June 16th in Richmond, California at 96-years old. Hmmm! If sequestration and it’s $85 billion dollar budget cut is going to bring financial Armageddon to the United States, why were the $2.5 trillion in spending cuts Obama love to claim he made … so painless? Doesn’t make much sense does it? We are told by the Obama administration that our Beloved Messiah has already reduced the deficit by over $2.5 trillion. This was achieved by cutting spending by over $1.4 trillion and trimming domestic discretionary spending to its lowest level since the Eisenhower administration. We are told that … as a result of these savings and the strengthening economy … the deficit is coming down at the fastest pace of anytime in American history other than the demobilization from World War II. Wow! Sounds too good to be true! And … that is because it is! According to the Center on Budget and Policy Priorities … Obama justifies his “spending cuts” claims by comparing estimated deficits with the government’s baseline budget projections. However, he must be using a budget that was from some previous administration because, as I recall, there has been no federal budget approved since he was elected to office. However, that being said … under the government’s “baseline budgeting” rules, budgets are increased every year by around 6% to account for population growth and inflation. On its face, the idea that government spending grows with inflation is not unreasonable. But far too often, it is misused by politicians, who claim a “spending cut” any time the actual increase is less than the automatic increase. Obama therefore can spend 2.5% more each year and claim that he’s cutting spending by 3.5%. I just love this new math! Also, this $2.5 trillion cut is projected to occur over ten years. Which, in essence, means it will never happen! 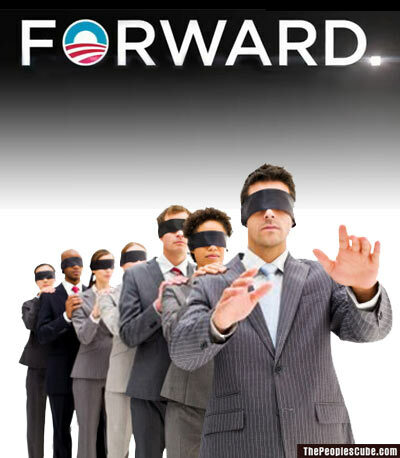 Nothing binds future officials to follow Obama’s so-called spending cuts! How many politicians that are in office now … will be in office five years from now … never mind ten? And another thing! If this sequestration (which Obama originally put in place) is truly so bad … why doesn’t Obama simply issue forth with another Executive Order and put it on hold. We all know how much he loves his Imperial Decrees and he uses them judiciously … U.S. Constitution be damned! The thing is that Obama wants to present the image that he is spending less, cutting deficits and lowering debt! That he is the only one who knows how to spend wisely … and that he is being unjustly accused of excessive spending by those hateful Republicans who simply want to push granny over a cliff in her wheelchair while murdering autistic children! But, this is all one big fantasy! Even through their cool aid created fog, Obama’s followers know that Obama has run trillion-dollar-plus deficits every year he has been in office. Even the liberal drive-by media has reported that fact … they just still blame Bush, ATMs, suicidal lemmings, Kiosks, migrating seagulls, and the Arab Spring! You can see the line for “receipts” at the top; which translates to income from taxes and fees. Receipts dropped during the recent “recession” … but somehow, Obama’s budget optimistically projects a rise from $2.3 trillion in 2011 to $5.1 trillion in 2022! This is more than a doubling of tax revenues … which means that either our economy has to quickly grow dramatically … or any future taxes will be extremely painful. even when you reduce a deficit … you’re still spending more than you take in; and therefore … still increasing the national debt. The real truth is that, according to Obama’s own projections, over the next ten years (the period for Obama’s much-touted $2.5 trillion reduction in government spending) … taxes, federal spending, and the national debt will actually double. Obama’s rapidly rising budgets are optimistically offset by fanciful revenue projections, but his projections will only hold if we actually experience the 4.3% GDP growth (that is figured into the calculations in Table S-1) every year for the next decade. What is the likelihood of that happening you might ask (If you are cool aid free)? Given our current lack of economic growth and the historical U.S. average of 3.2% growth, … not too good! One last parting thought! Despite the fact that Obama stated during his first campaign that it was very, very un-Patriotic and un-American of then-President George Bush to do so … we are still, under Obama’s rule … still borrowing 40+ cents of every dollar we spend from the Bank of China! The interest on this debt, as it grows over this ten year period of $2.5 trillion in fake federal spending cuts, will be astronomical! If interest rates happen to spike and China calls in its note, what are we Americans going to do? I guess we will all have to learn to be good little communists and speak Chinese! Ok! I’m sorry but I just can’t help it! Can you image the sanctimonious, selective liberal outrage we would have been subjected to had George W. Bush, a conservative like Sarah Palin, Mitt Romney, or pretty much any republican had misspoken and called Nazi death camps in Poland … Polish death camps? The liberal press would have wasted no time in excoriating the transgressor as a stupid, right-wing, nazi-loving, drooling, anti-woman, old-people killing, drunken, hate mongering neocon with latent heterosexual and homicidal tendencies, etc.! I mean Bill Maher would have had material for at least a month’s worth of left-wing verbal diarrhea! Zero Net Jobs Added in August! American employers stopped hiring in August. According to CNBC reports, this is the first time since World War II that our economy has had a net zero jobs created during a month. The weak economy situation was underscored Thursday by the Obama administration, which estimated that unemployment will average about 9 percent for the next year, when Obama will run for re-election. The unemployment rate was 7.8 percent when Obama took office. And it just keeps getting better …. Next week, Obama will deliver a much anticipated presidential address to a joint session of Congress, introducing his plan for creating jobs and boosting economic growth. That is, if Congress will just get focused, and give him his plan by then!